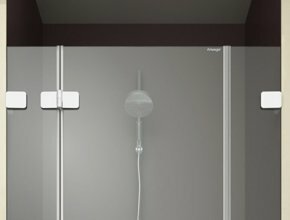 The BODY+SOUL is a steam shower that puts design at the focal point of what well-being really is: Deceleration, reducing speed, just feeling good. The performance of the steam production is controlled and ensures a constant climate of well-being throughout the entire steam bath. The aroma drawer can even be refilled with oils or herbs during the steam bath. 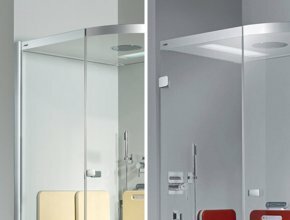 ARTCLEAR glass has a permanently easy-care surface. Water rolls off, dirt and lime can hardly settle. The cleaning effort is greatly reduced. 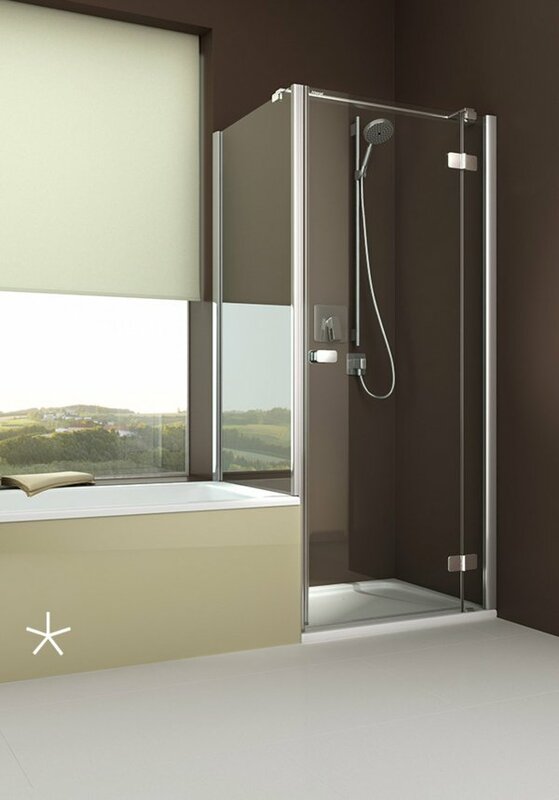 Due to the UV-cured surface, the ARTCLEAR effect lasts a long shower life. An integrated motion damper lowers the seat gently when folding down. 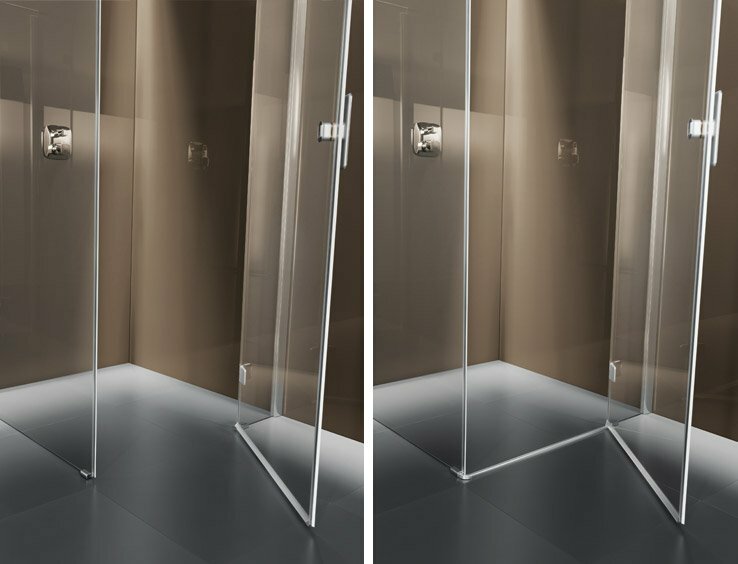 The inner surfaces of the glass remain completely smooth and especially easy to clean thanks to the hinges being adhered to the outside surface. 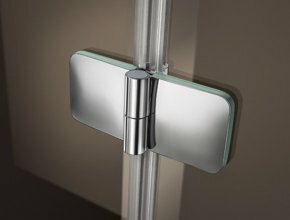 You decide: 100% flush to floor access or with an unobtrusive 12 mm high surge bar for improved watertightness around the door. 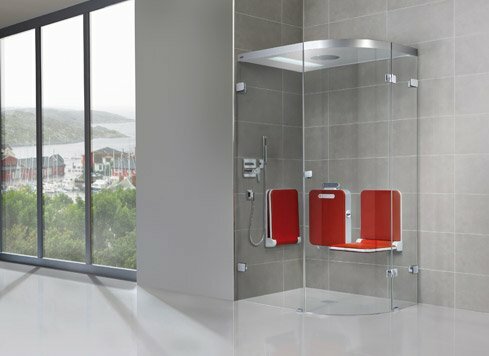 BODY+SOUL Steam shower, 1/4-round shower, frameless, 120x90cm, 2 individual seats, audio, coloured light, overhead showerhead. 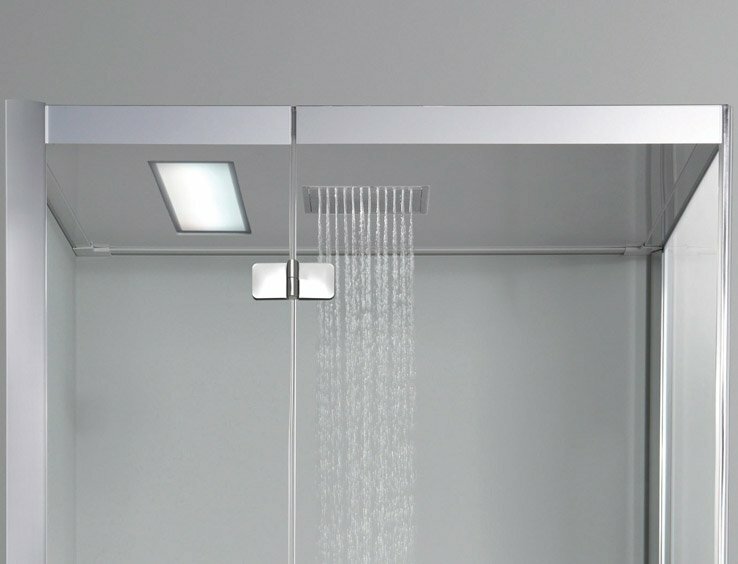 BODY+SOUL Steam shower, Corner entry frameless, 90x90cm, individual seat, audio, coloured light, overhead showerhead. 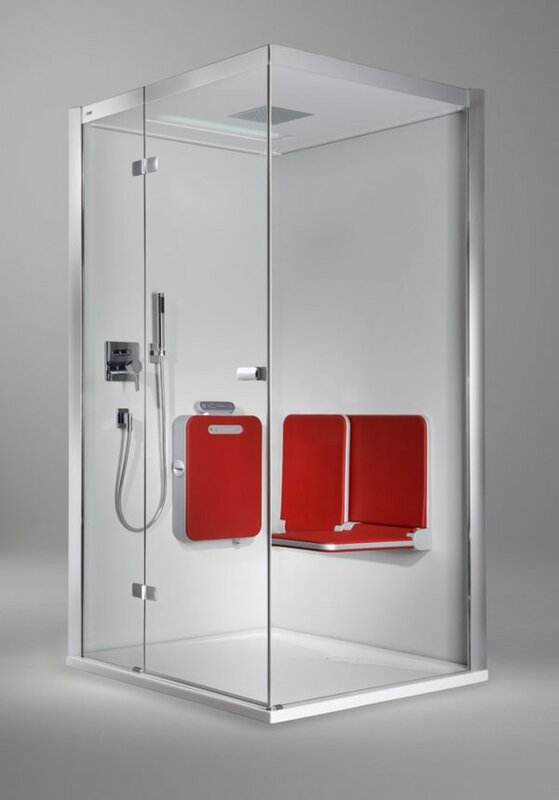 BODY+SOUL Steam shower, winged door with side screen, partially framed, with bench, audio, coloured light, overhead showerhead.  The intentionally reduced forms of BODY+SOUL create architectural clarity and harmonize automatically with other styles. The BODY+SOUL is installed directly on the wall (tiles) and makes a perfect visual impact in any space. 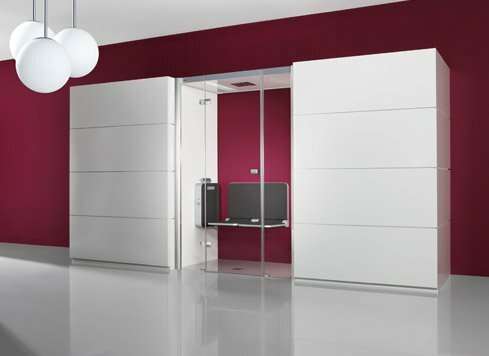 You can also have your BODY+SOUL custom manufactured - adapted exactly to your space situation. Door can be closed on the left or right as you choose. Standard height 204,6 cm. 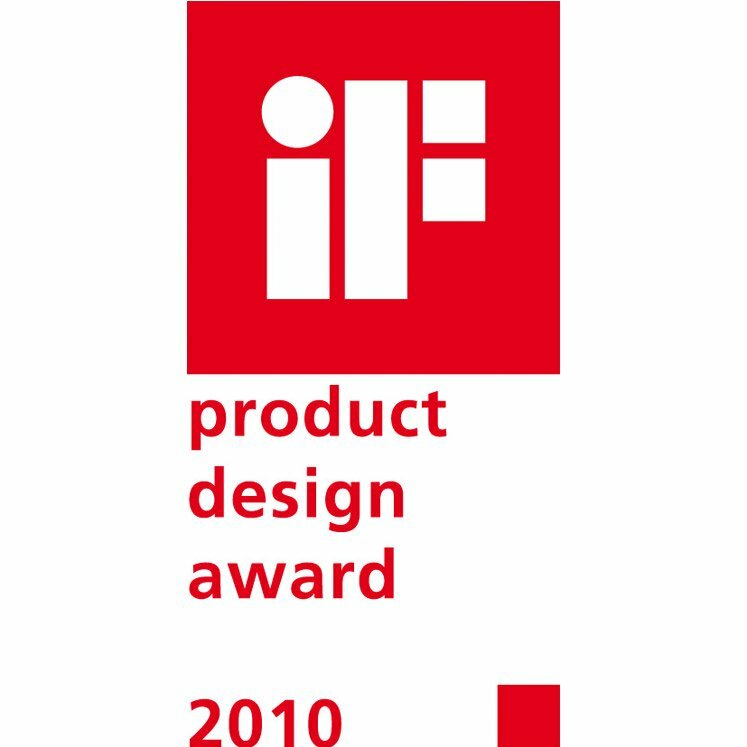 Custom measurements: Fixed-part extra width per side, no custom heights. 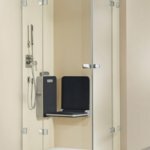 If you want your own private wellness oasis, you should not have to fail at the first hurdle - a too small bathroom! 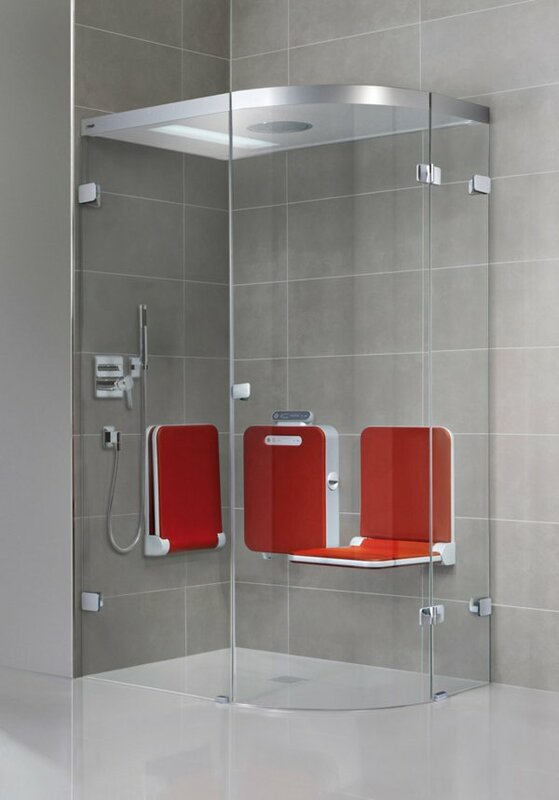 Because the shower is integrated in the BODY+SOUL, it saves much space. 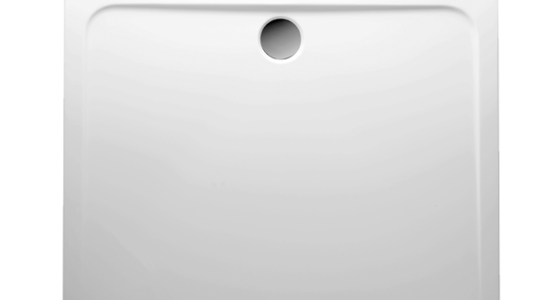 The extra narrow steam box leaves plenty of room for a refreshing steam bath even in small bathrooms. And to take a shower just fold the seat up. Standard height 204,6 cm. Heights up to 220 cm on request. Custom measurements: Floor area at most 1.3 m² at 204,6 cm height. 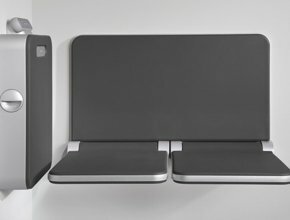 Maximum widths: 140x90 cm or 130x100 cm. 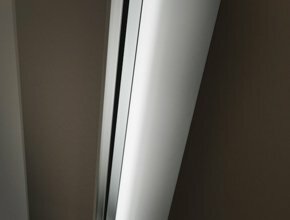 Door can be closed on the left or right as you choose - hinge always on the wall side. Standard height 204,6 cm. Custom heights up to 220 cm on request. Custom measurements: Floor area at most 1.3 m² at 204,6 cm height. 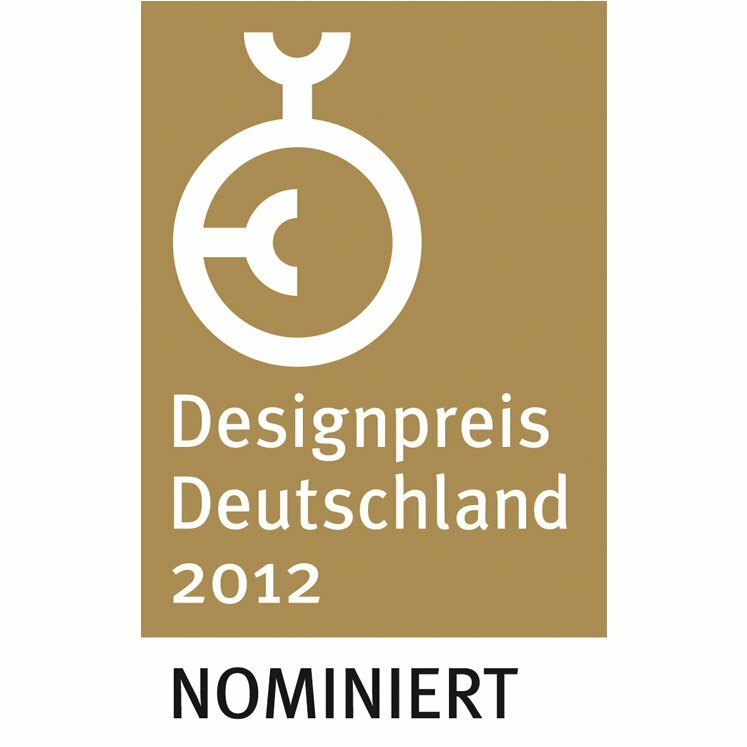 Maximum widths: Door 140 and side screen 90 cm or door 130 und side screen 100 cm. 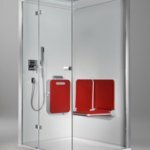 BODY+SOUL Steam shower, Winged door in alcove with 1 fixed part, partially framed, Rear wall and side wall with ARTWALL matt brown. 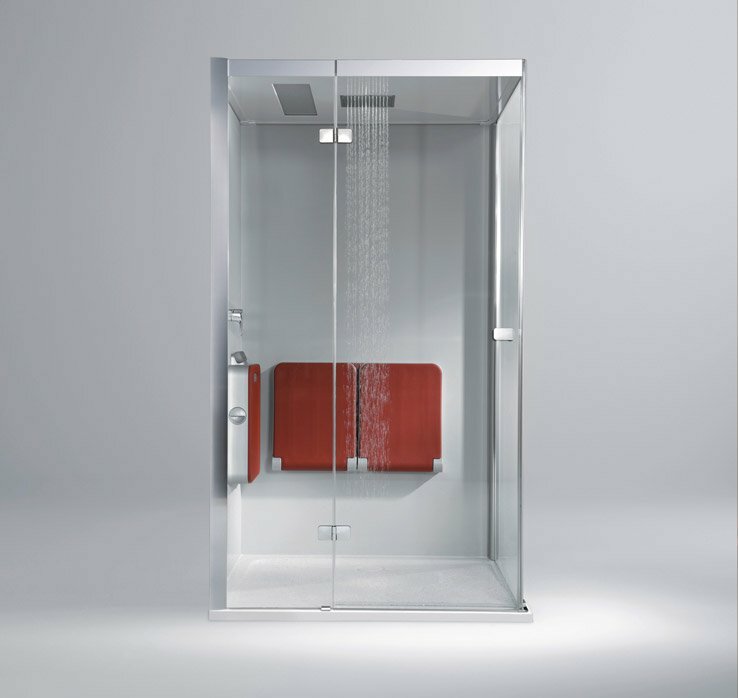 BODY+SOUL Steam shower, Winged door in alcove with 2 fixed parts, partially framed, 140x90cm, with bench, audio, coloured light, overhead showerhead. 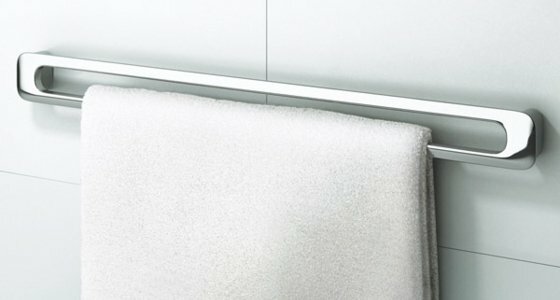 BODY+SOUL succeeds as probably no other in dissolving the boundaries between living room and bath. 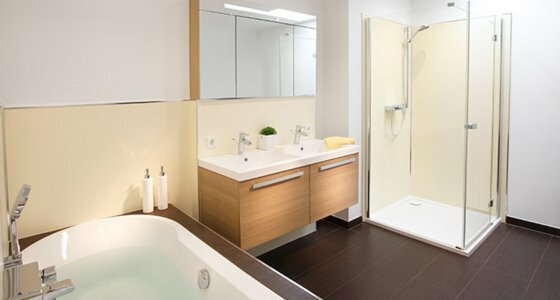 All possibilities are open to your creativity - or your bathroom planner’s. 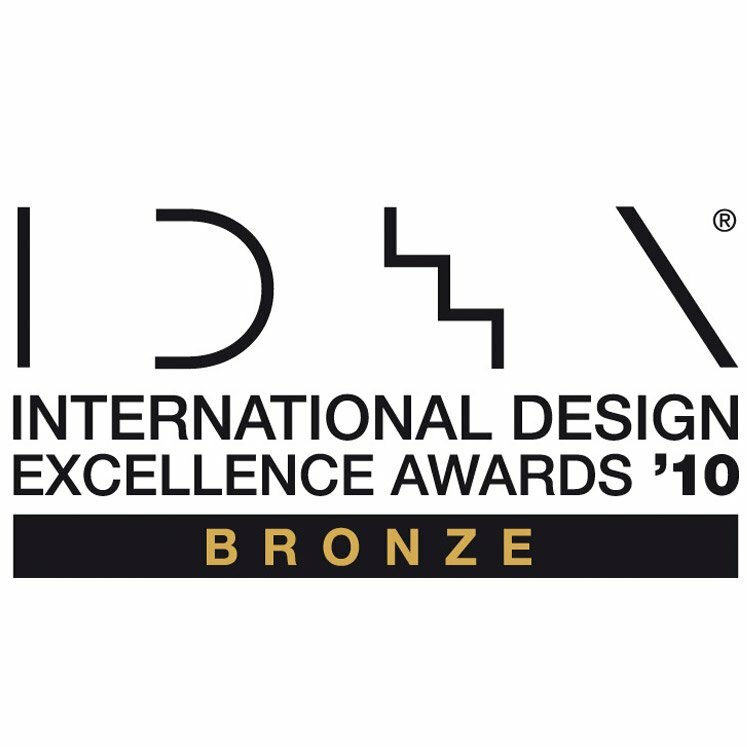 Functionality coupled with wellbeing? And also a unique look? Anything’s possible! Door can be closed on the left or right as you choose. Standard height 204,6 cm. Custom heights up to 220 cm on request. Custom measurements: Floor area at most 1.3 m² at 204,6 cm height. Door max. 120 cm/Depth of alcove max. 100 cm. Door can be closed on the left or right as you choose. Standard height 204,6 cm. Custom heights up to 220 cm on request. 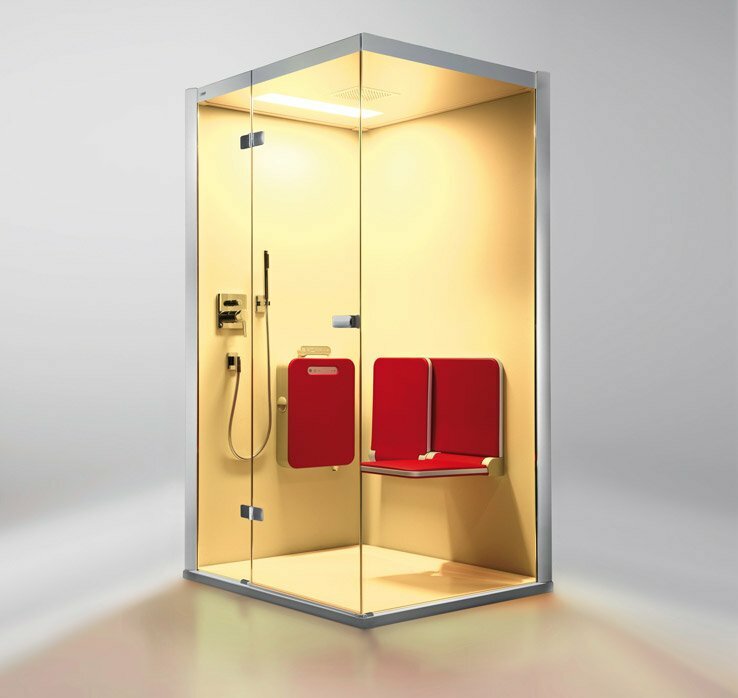 Custom measurements: Floor area at most 1.3 m² at 204,6 cm height. Door max. 140 cm/Depth of alcove max. 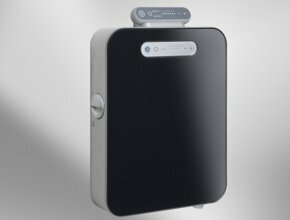 90 cm OR door max. 130 cm/depth of alcove max. 100 cm. Floor area at most 1.3 m² at 204,6 cm height. 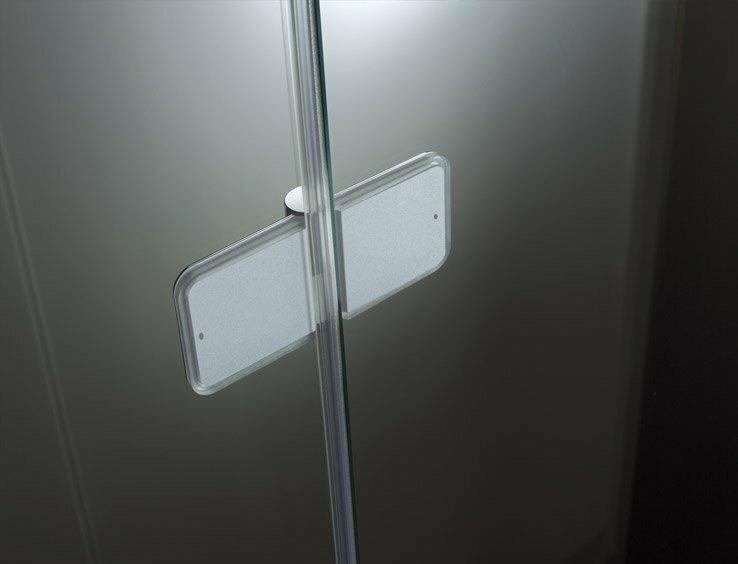 Door can be closed on the left or right as you choose - hinge always on the wall side. Standard height 204,6 cm. Custom heights up to 220 cm on request. Click a sketch to start animation. 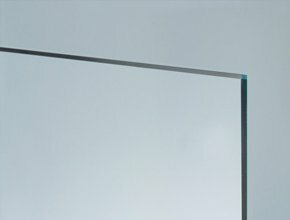 Single-pane safety glass (6mm ESG). 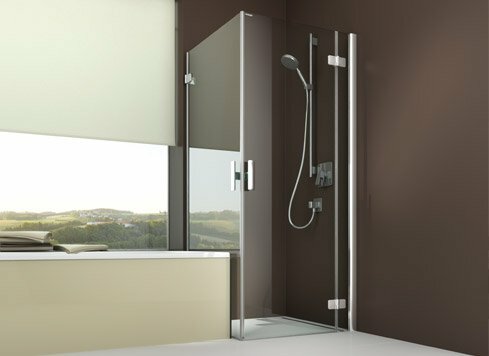 In the BODY + SOUL, special heat-treated safety glass (EN 12150) is used which is more impact-, shock- and temperature-resistant. If the glass breaks then little crumbs are created which greatly reduces the possibility of injury. 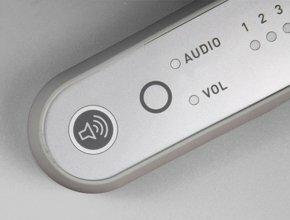 With your remote control you can connect via Bluetooth or AUX to your smart phone, tablet, PC, Mac or MP3 player. 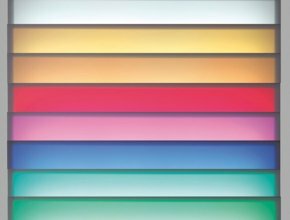 Coloured-light moods increase the effect of steam and aroma on your well-being. 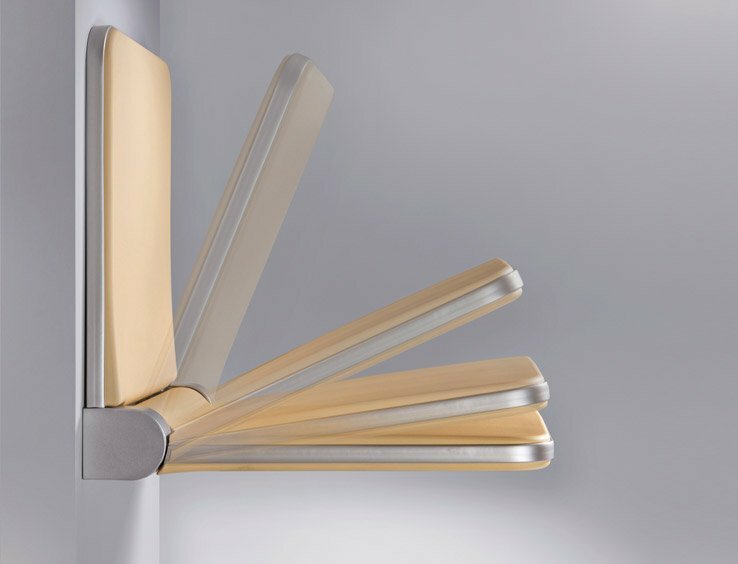 Seven colour settings are pre-programmed; you can choose intermediate shades and light intensities freely. 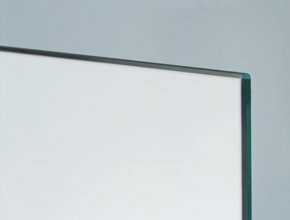 ARTCLEAR glass has a permanently easy-care surface. Water rolls off, dirt and lime can hardly settle. The cleaning effort is greatly reduced. 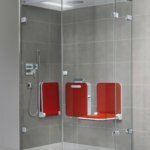 After showering, the glasses can simply be rinsed off with the hand shower after showering, any residues are removed once a week with a damp cloth (also microfibre cloth). 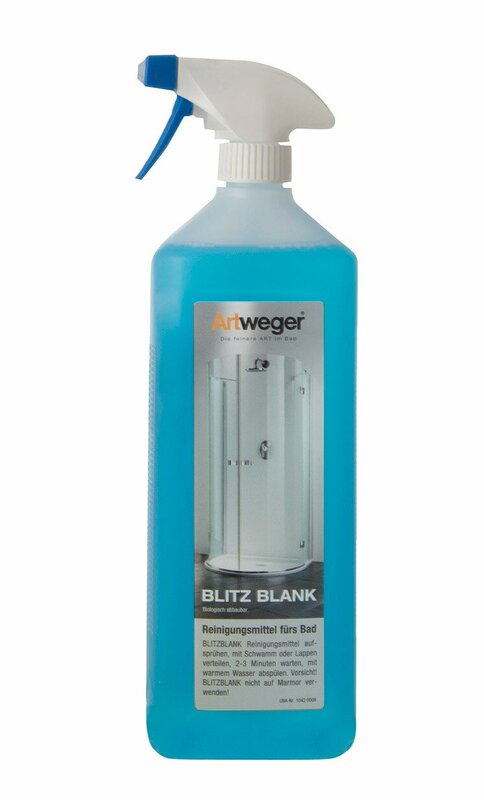 Regular cleaning can be done with conventional bath cleaners, we recommend Artweger BLITZBLANK. 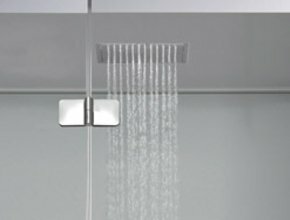 Due to the UV-cured surface, the ARTCLEAR effect lasts a long shower life. This is a question of personal preference. 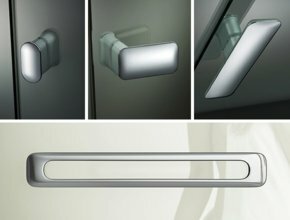 The ergonomic and optically perfect handles are available in four variations. 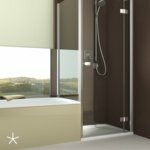 From steam shower to 5-star wellness oasis. Put your own well-being package together. 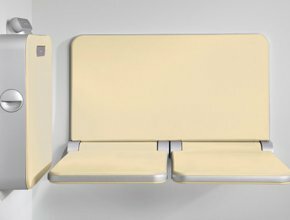 Whether individual seat(s) or bench, or perhaps even both, from the basic features with steam and aroma to fully equipped with music, coloured light and integrated overhead showerhead - you have the choice. 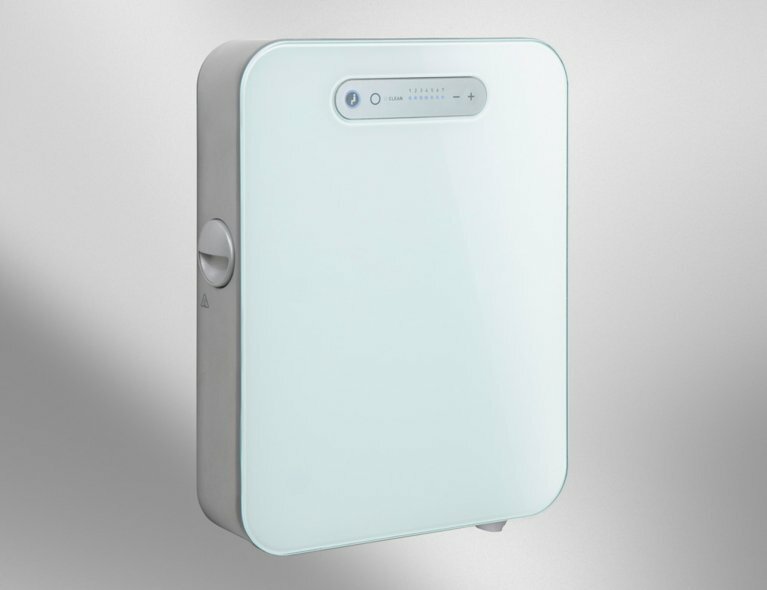 After each use: Rinse with clear water and allow to dry. Once a week: Clean with a damp microfiber cloth. 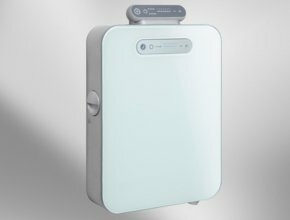 For hygienic and easy cleaning of your bathroom and shower, Artweger recommends the biodegradable Artweger Blitz Blank cleanser. 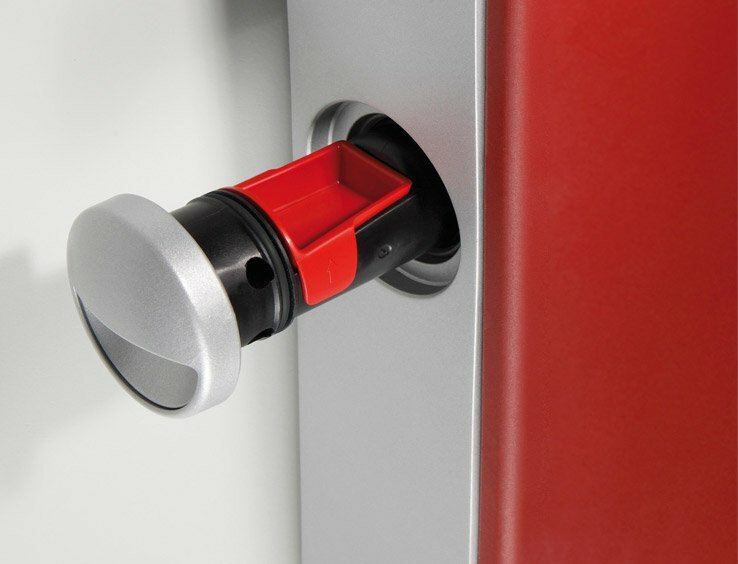 It has optimum cleaning power without damaging the surfaces of Artweger products. 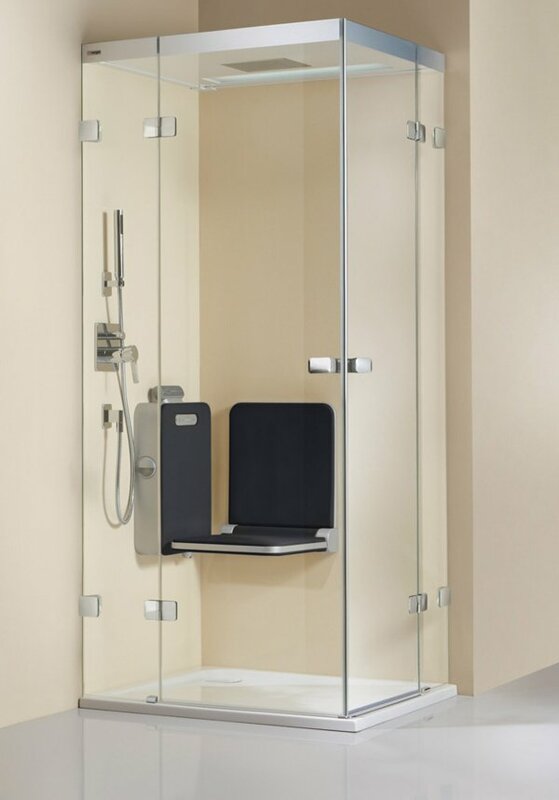 Artweger Blitz Blank is available from your bathroom dealer. Do not use on marble or calciferous stone!